At Jaguar Colorado Springs we still have one brand new 2017 Jaguar XJ left in our inventory! This particular model is a XJL Portfolio model and is the picture of pure luxury with its shining white exterior and tan plush interior. Equipped with a 3.0L V6 supercharged engine, you can expect an estimated 17 MPG city/25 MPG highway fuel economy. Plus, there are plenty of luxury features equipped inside of this sedan including adaptive speed control, que assist, 360-degree parking aid and Parking Assist package. The surround camera system, rain detecting windshield wipers, low tire pressure warning, and blind spot sensor are all helpful features for the XJ driver. So, if it’s time to upgrade to a luxury vehicle, stop into Jaguar Colorado Springs today to check out this 2017 Jaguar XJ up close. We can introduce you to the exciting safety and comfort features and you might even want to take a test drive! 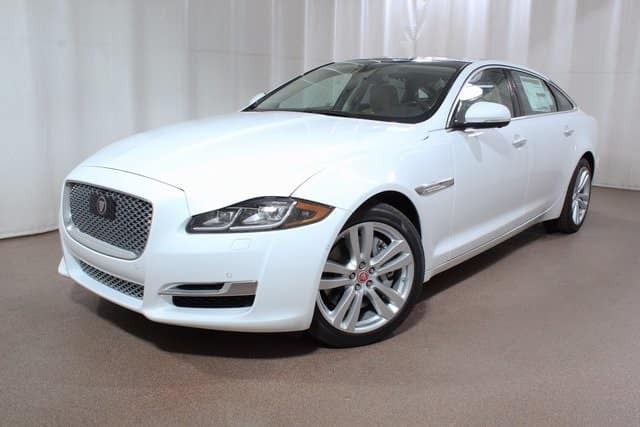 Once you get to know the luxury and comfort of the Jaguar XJ, you will want to drive this beauty home with you. Right now, this gorgeous sedan is available at a big discount so don’t miss out on our last 2017 Jaguar XJ!